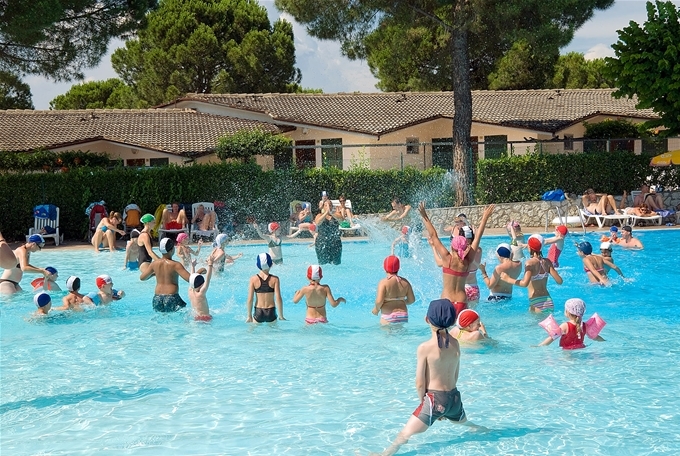 Cisano San Vito camping is your campsite with everyday animation activities in Bardolino! 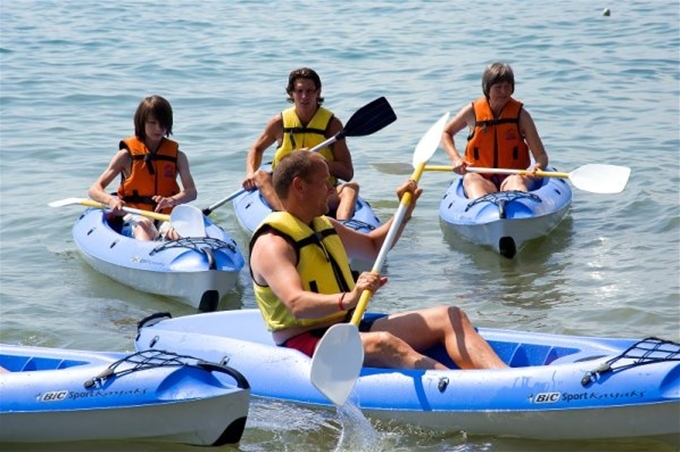 In our sport friendly campsite on the Lake Garda, you will find every day an animation team at your disposal for: tennis, canoe and aerobic courses, daily lesson of water gym, morning gymnastic, everything for free! Furthermore you will find football tournament, volleyball, table-tennis, darts, bowls, minigolf, archery. It’s possible to do water ski courses, banana-boat and Para flying under payment, both for beginner and experts. 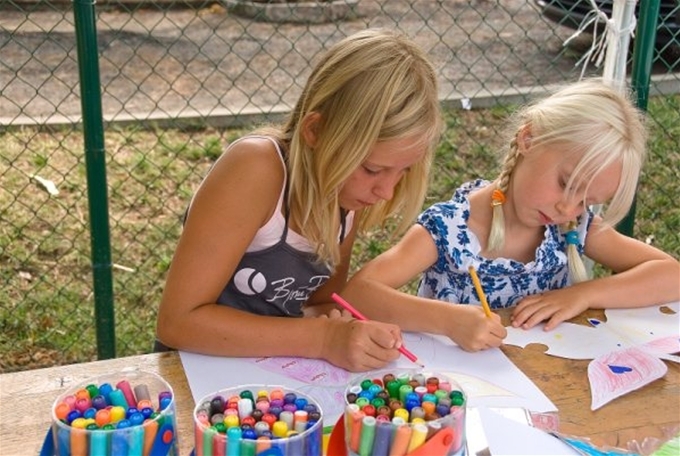 MINICLUB: our young guests will have every day extraordinary adventures with our animation team! Painting, decoupage, plays and fun for everybody with dancing, sport tournaments, prize games and much more… and every evening, the baby dance will be the protagonist with songs and dancing! 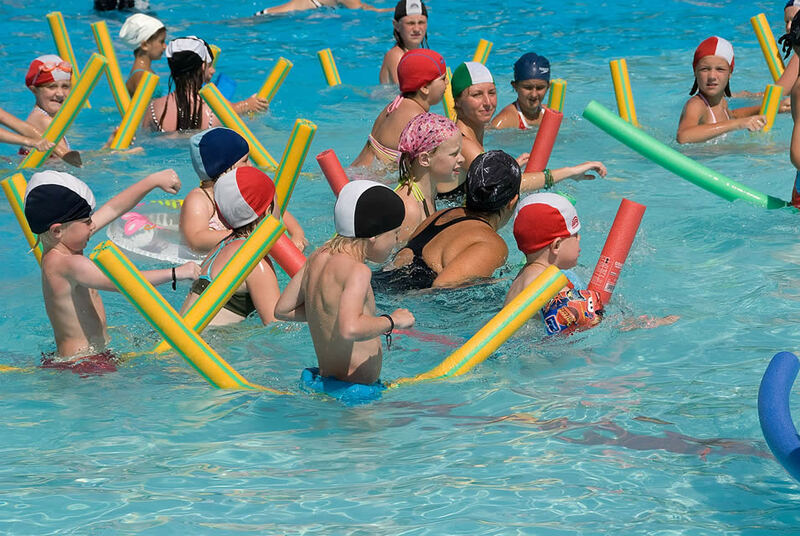 During the high season, we organize every week evening activities and themed events with the guarantee of your fun! As the very famous and loved cooking event RICE PARTY with “risotto” and red wine for everybody or the happy BRASILIAN PARTY with professional dancers and sangria for free! In addition, every evening we organize dance competitions, games and Mini Musical with the presence and cooperation of our young guests, all organized by our animation team.